Hope you’re back to enjoying Caesar salad after the recent romaine lettuce scare, because your summer fruit salads may now be in peril. 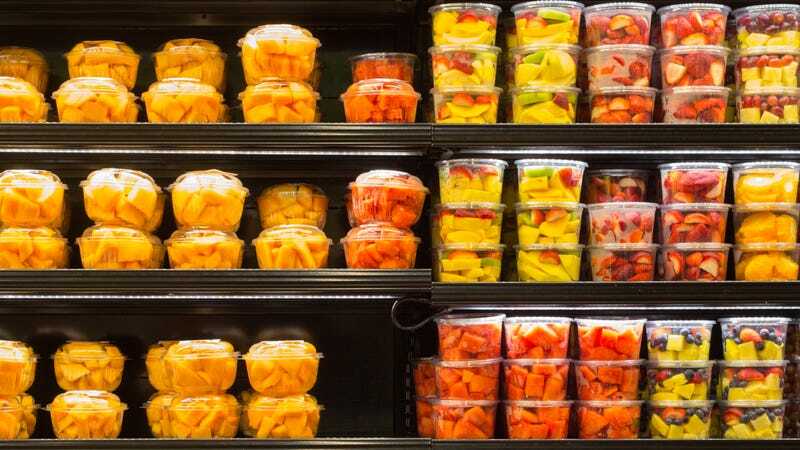 Food Safety News says that the “FDA reports fresh-cut watermelon, honeydew melon, cantaloupe, and fresh-cut fruit medley products containing any of these melons” that came from the Caito Foods facility in Indianapolis are being recalled. The products were sent to large chains like Costco, Walmart, Trader Joe’s, and Kroger in eight states: Georgia, Illinois, Indiana, Kentucky, Michigan, Missouri, North Carolina, and Ohio. So far sixty people have been reported ill (more than half of them in Michigan), with more than thirty hospitalized. If you have any pre-cut melon in your home from one of those states and stores, FSN suggests tossing it as soon as possible. The Indy Star notes that isn’t the first such scare related to cantaloupe: “In 2012, 261 people, including 30 in Indiana, were sickened after eating cantaloupe that originated from an Owensville, Ind., farm.” The Food Poison Journal has an even longer list, dating all the way back to 1985. Not sure what makes cantaloupe so susceptible to salmonella, but we may only be purchasing our melons whole from now on.